This is a university of bright futures. A university of opportunity, challenge and choice. So as well as courses that feature projects for real companies, work placements, practical lessons and assessments, we do even more to boost your employment skills and prospects. It might seem a long way off but trust us, you need to start thinking about your career as early as possible. The Careers and Employment Service is proud to support all of our students on their journey towards their future career. No matter what course you’ve chosen or what your previous experience is, we will provide one to one, tailored support, with access to services and programmes to help you reach your career goal. 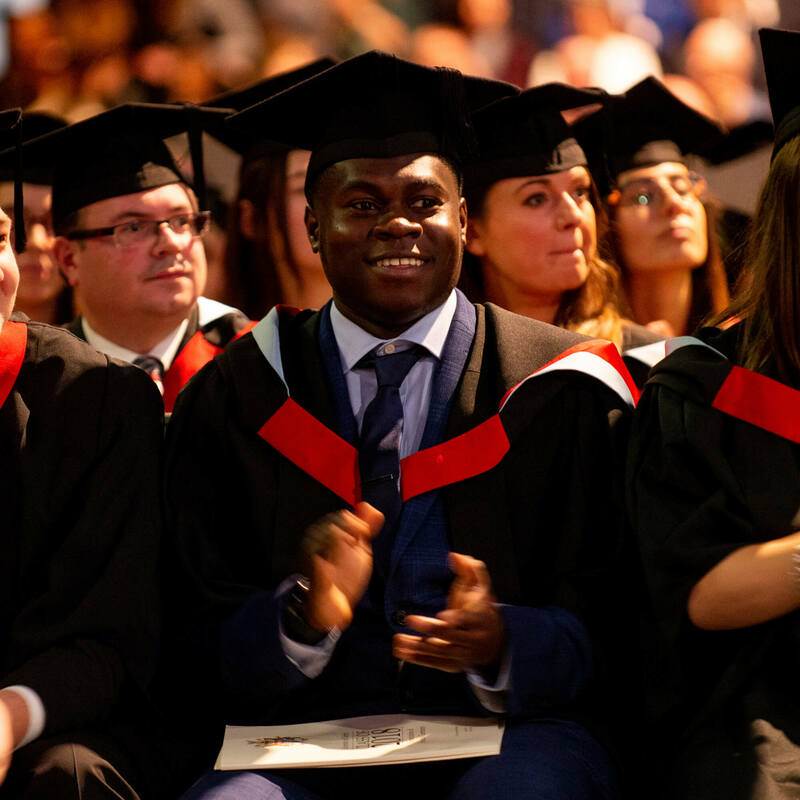 This support has helped 96% of our most recent graduates find work or be in further study six months after completing their course, with 76% in graduate-level roles, according to the most recent Destinations of Leavers from Higher Education survey. Coming to the University for the first time will be exciting but at the same time it might be confusing. To get your career bearings come and chat with the Careers and Employment Service team. You can talk with us about part-time jobs and volunteering, both great ways to meet new people and begin to develop the keys skills that will make you more attractive to future employers. It’s likely your course will have a requirement for a short work experience project or a longer 12 month’s placement, both giving you a chance to further develop real world, employability skills. There’s also the Futures Award! Get involved, graduate employers will be on the lookout for candidates who stand out from the crowd and the Futures Award is the perfect way to demonstrate the skills and experience you’ve gained through your extra-curricula activities. It’s not at all uncommon that you’re not sure what you want to do with your chosen course. No problem! Our careers consultants are on hand for one to one appointments where you can discuss potential career ideas, what you are suited to and what you are passionate about, to begin to give your career journey some focus. You now know what you want to do, but how do you get there? Come to at least one of our many careers fairs. Some are specific to your course, while others - like our annual Careers Fair and our Volunteering Fair - are diary dates for all students. They are your chance to talk with employers about their industry and your future employment potential - including work experience - so don’t miss them! There's also our employer mentoring scheme, giving you the chance to connect with an experienced professional and benefit from their knowledge and skills. You need to make your CV look great no matter what job you’re applying for. You’ve only one chance to make a great first impression and our advisers will help you show off all your talents. Don't miss our High Fliers programme which will equip you with the skills and techniques needed to put you ahead of the competition including practice assessment centres with real companies. What if you don’t want to work for somebody else, what if you have the next great idea and you just need help to get started? We encourage students to be enterprising and innovative - we can help you develop your business idea. You’ve done it! You’ve got the work experience from part-time jobs and placements, you’ve honed your CV, practised for your interviews and you’re ready to graduate. But don’t worry if you haven’t found that perfect job yet, we are committed to staying with you for three years after you graduate, supporting you, guiding you and helping you get that job that’s ideal for you. Our students and graduates are a skilled and ambitious talent pool that will inject new ideas and fresh energy into your organisation. A new national survey capturing the activities and perspectives of all UK graduates will be launched by Higher Education Statistics Agency in December 2018.